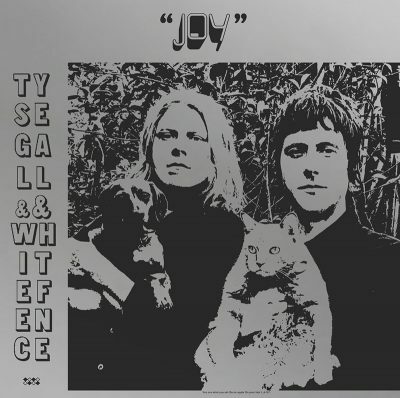 Ty Segall and White Fence teamed up to bring Joy to listeners near and far. This isn’t the first time Tim Presley (White Fence) and Segall have collaborated on an album. The two released Hair, a psych-folk album, back in 2012. The 15-track Joy is significantly less rock heavy, and instead takes a Beatles-esque approach, tapping into the melodic styles of ’60s rock. A cleverly titled first song, “Beginning,” starts with some indistinct ruffling, as Segall and Presley begin to sing absent of any instrumental support. They sing the same lyrics in a similarly high-pitched voice, with one at the forefront and the other stating the same words in the background, but a few seconds behind. A pause precedes lengthy segments of upbeat drum rolling and percussion shaking before dropping off to let a few funky electric guitar notes and vocals take a short-lived turn in the spotlight. The vocals and drums proceed without guitar, though not for long. The last bit of the song ends with drums, vocals and guitar fading out in a frenzy together. “Hey Joel, Where You Going With That?” is played and sung with many starts and stops, high-note electric picks and pronounced bass. While it feels like a simple song, there are many levels of complexity and depth, without overwhelming the song. Different chord progressions accompany changing licks and riffs while Presley and Segall accompany each other, singing odd lyrics like “Please blow your horn / Yellow sandwich submarine / Makes me cry / Like a fly,” followed by some one-two bass notes before an electric bridge. Most of the songs are less than two minutes long, yet accomplish a lot in a little bit of time. Some songs are significantly calmer and more reserved, but don’t assume rock is dead. “Other Way” begins with some dog scruffing and jumps into quick playing on the bass and then dives into the classic, fully packed electric craze, fast drumming and one loud yell included. “Prettiest Dog” follows on the track list. It’s a 17-second song simply showcasing a heavy electric guitar and drumming joyride. Some songs fall somewhere in between, like “Do Your Hair,” which still has the instrumental dynamic of a rock n’ roll rhythm, yet keeps the vocals at the forefront, making it less of a heavy-metal headache. Luckily, you don’t give up on Segall’s quirkiness, either. “Rock Flute” is strange and honestly terrible to listen to. It’s just 27 seconds of a really poorly played flute mixed with the buzz of old smoke detectors. But can’t you imagine Segall and Presley in a room, laughing while making the decision to include it? “She Is Gold” is not much of a move-and-groove-to track, at least not the whole time. It’s a five-minute-long song, with only a few lines of lyrics. Otherwise, it’s really just an amalgamation of flute toots, random jazzy keyboard moments, casual slow-going drum sets and sporadic moments on the electric guitar and bass. At many points, you wouldn’t know you were still listening to the same song.